In April, we helped celebrate Earth Month by surprising Hybrid owners with free gas across Southern California! 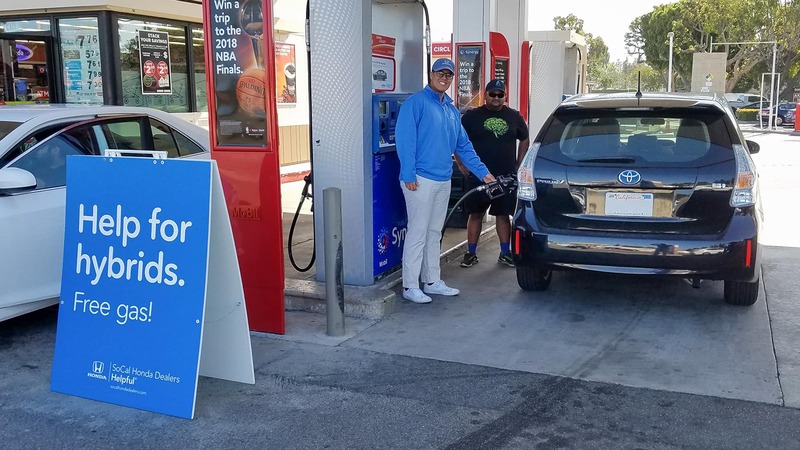 For the ten days leading up to Earth Day, our Guys in Blue popped up at gas stations to reward those who help keep our planet green. 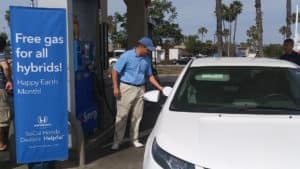 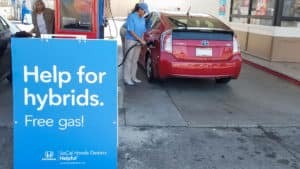 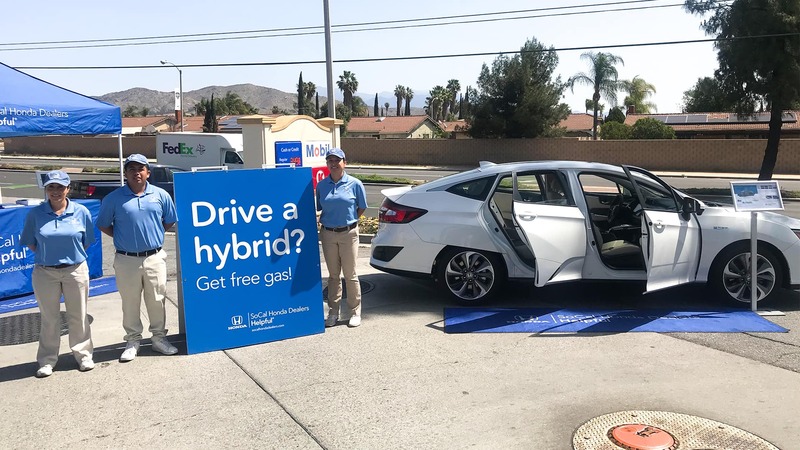 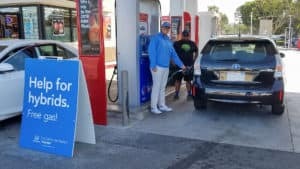 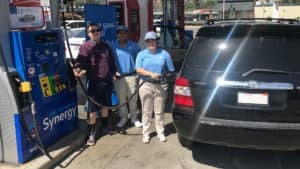 All Hybrid cars, regardless of their make or model, were invited to fill up their tanks on behalf of the Helpful SoCal Honda Dealers. By stopping in cities across Southern California such as Hacienda Heights, Lake Forest, Santa Clarita, Corona, Los Angeles, and Manhattan Beach, our Helpful Honda People were successful in spreading awareness and appreciation of our precious planet. 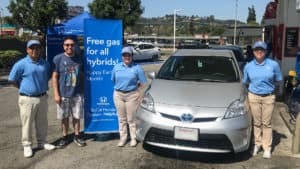 “Thank you for supporting our environment,” one delighted Hybrid owner expressed. 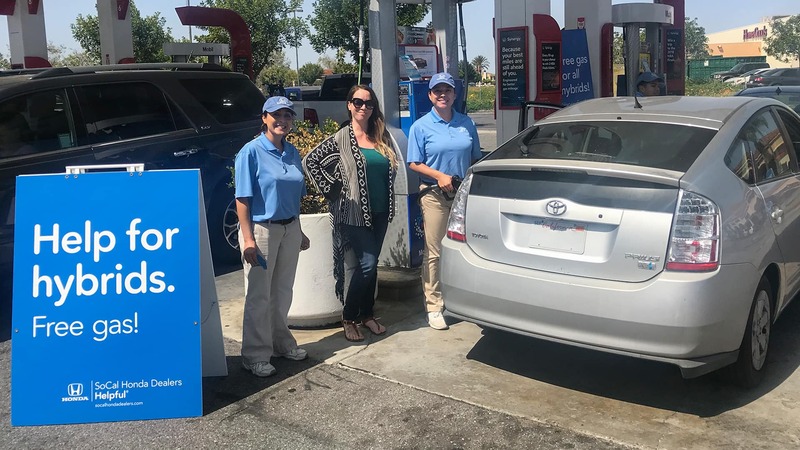 Our teams enjoyed interacting with and helping those committed to sustainability and bettering our earth. So what’s next? Our Helpful Honda People will be rolling out two, large, tanker trucks starting Memorial Day Weekend through July 4th to help out our loyal Honda drivers with some free gas. 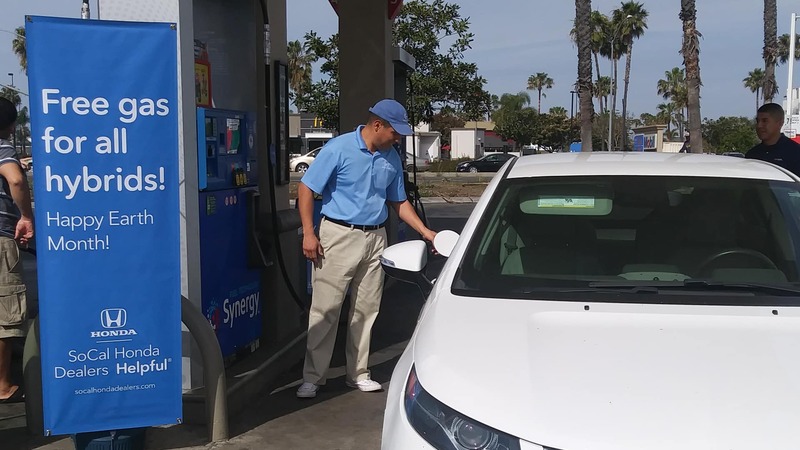 And dads, during the month of June, we’re surprising fathers with complimentary shaves for their special day!